There are as many types of meditation techniques as there are wonderful flavors of ice cream. This allow each person to find a flavor that is delicious to them. In this article series I will provide an overview of many of the different meditation techniques that exist and hopefully this will help you find the style that is sweetest to you. Some meditation styles suit those of an intellectual disposition, while others are more attractive to those who prefer the path of love and surrender. 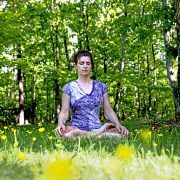 Still others, with an active approach to life, may like the meditation techniques involving movement, while those with a strong mind would enjoy the approach of visualization and concentration. Overall, there are several broad categories under which we can capture most of these various meditation practices and in Part 1 I will explore Insight Meditation Techniques and Sound (Mantra) and Intention Meditation Techniques. 1. Insight Meditation Techniques: These are the meditations of choice for the Gyan Yogis or those drawn to the intellectual path. It incorporates the advanced meditation techniques from the Zen school of Buddhism, the Advaita Vedanta school of Hinduism, certain schools of Western Religions among others. WHO AM I Meditation Technique: This technique comes from the school of Advaita Vedanta (Non-Dualism / End of Knowledge). The meditation was popularized by Shri Ramana Maharishi and is based on negation of the false self in order to realize one’s True Nature. Here is an example of my experience with WHO AM I Meditation Practice. Koan Meditation Technique: These meditations come from the Zen School of Buddhism and are designed to break down the ordinary pattern of conceptual, dualistic thinking. By breaking down the interference created by the thinking mechanism the practitioner is brought to confront the non-dual reality of “what is” directly and thus Awaken. Contemplation Meditation Technique: These meditations utilize introspection, self-study, reflection, study of spiritual texts and contemplation to cut through the layers of false conditioning and false understanding that deludes the mind. These meditations have their roots in many Western Religions and are also a part of Eastern philosophies. Silent Mind Meditation Technique: This meditation technique is my contribution to this category and it involves directly perceiving the fact of what is by acute observation of the thinking process. This is the flavor that I enjoy best and I have explained it in detail in the The Silent Mind Meditations, which are part of the Silent Mind Meditation Program. These meditations are an extension of the teachings of Jiddu Krishnamurti. Mantra Japa Meditation Technique: This meditation method uses the repetition of a mantra (a particular sound, word or phrase) verbally or mentally to create the necessary conditions for purification, refinement or expansion to take place. Mantras are essentially keys which allow one to tune into the individual energy field or tune into the Universal Energy field to produce certain desired results. Here is an example of using OM Mantra to activate the Third Eye Chakra. Rhythm Meditation Technique: This form of meditation uses the combination of rhythm, chanting, music and breath to calibrate and perfect the system. The excellent Three Step Rhythmic Breathing (3srb) meditation technique of Sage Pantanjali and many Kundalini Yoga meditations fall under this category, among others. Meditation via Song: Most of the meditations from the path of Devotion (Bhakti Yoga) and Love, designed to dissolve the ego belong in this category. This is a path most dear to those who are emotional in nature and feel a deep love for the divine. Christianity, Gospel, Sufi Meditations, Hare Krishna Meditations, Kirtans and Bhajans are some examples of techniques in this category. Meditation via Prayer: All religions have meditations involving prayer and worship. This may be the most practiced form of meditation. Thought Power Meditation Technique: The power of thought is becoming well recognized world over and many of the ancient Eastern techniques using this science are starting to gain popularity in the West now as well. Meditations that use the power of intention, law of attraction, desire manifestation, self-hypnosis, positive thinking, laughter as meditation, etc. belong in this category. These meditations can be useful to everyone. Feeling and Emotion Meditation Technique: In these meditations one uses the combined power of feelings and attitude to produce the desired affects. This type of meditation technique is usually combined with and is a part of other types of meditations, but can be done independently as well. Meditation such as Zen’s Loving Kindness, Osho’s crying meditation and many meditations which deal with maintaining an attitude of surrender, giving, gratitude, forgiveness etc, fall under this category. So you can see from above, these is a rich diversity to the Art of Meditation and certainly something for everybody. If one of the styles above does not catch your fancy, not to worry, I will be serving up more tasty flavors in part 2 of this series. Very nice article for people who really want to find peace and control mind. During meditation it is advised to focus on our breathe, Is it fine to always keep our focus or attention on our normal breathe always while performing our day to day activities. You have done the absolute right thing by just getting started. Everything else will take care of itself, you just need to keep doing your part. I am glad to hear the instructions were clear and easy to follow. Just completed my first day of the course (SM meditation). Your instructions leave no room for doubt. It has taken me around a decade to actually get down to meditation, if you can leave out the last few months of chakra activation sessions(!). 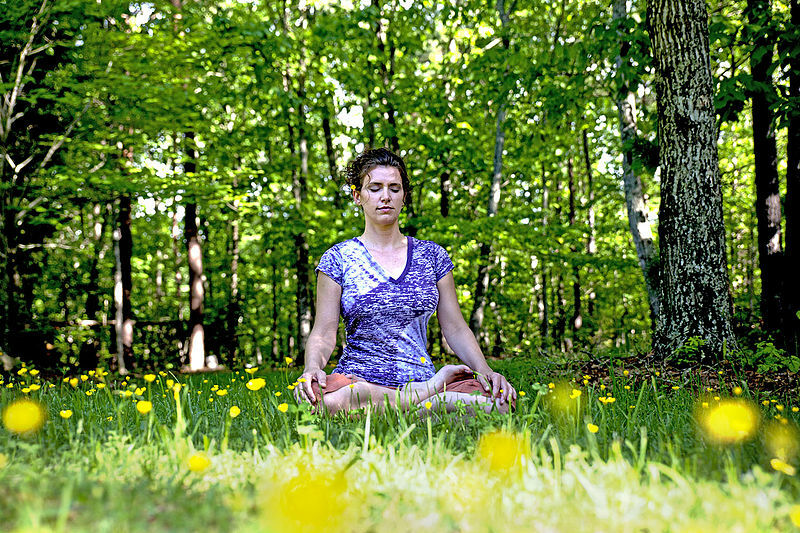 Let me know if you need to add more excuses to the “Common excuses for not meditating” list! I knew what I had to do, but simply couldn’t find the instructions that suited my needs. I didn’t realise the SM meditation technique was Gyan Yoga..thanks for letting me know. The same uneventful decade was spent reading (in a kind of frenzy) about how that wonderful state of realisation could be achieved and how the masters did it. It was like I had a map & no clue where to begin!! So many entry points…. which one was right for me? Actually, I haven’t read the entire course material. I read upto chapter 8 and simply pounced on it. I dare not even read the rest (I don’t need one more excuse…). Just wanted to start and take it from there.. so don’t scare me yet. Your kind words are overwhelming, thank you for such appreciation. You have found the SM Meditation program, within which lies the Silent Mind Meditation Technique. This is the hidden diamond in Mastery of Meditation. This meditation is perhaps the most advanced form of Gyan Yoga and it is certainly going to require all your passion to master, but in life it’s best to aim for the highest, and you are about to do that. Please let me know if you run across any issues or have any questions. Any other feedback is also most welcome. Hope you recover soon from the flu, glad the website helped keep your mind off it for a while :-). This is the most genuine and comprehensive site on meditation that I have come across. Congratulations on the fabulous job. I will start the SM meditation course tomorrow. Have been on a chakra activation course in India for the last 9 months. I am not very comfortable with the way the course is being conducted; i was desperately looking for a better method and came across your web-site. By the grace of God, I should do well here. Am down with flu right now and spent the whole day going over this website. (couldn’t stop despite the splitting headache that the virus gives you) Whew! Some information. Thank You for the effort. Your experience of God was wonderful. Not many share such details with lesser mortals you know?